National accounting firm RSM Bird Cameron has secured a significant office tenancy in the Equinox Business Park at Deakin in Canberra’s inner south for its new headquarters in the nation’s capital. 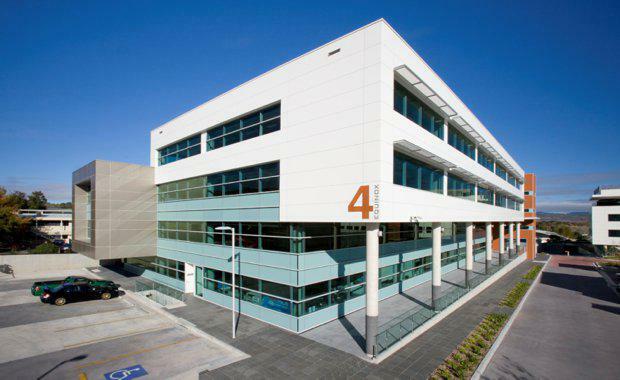 RSM Bird Cameron has leased 1881 sqm of A-Grade office space on level two of building four of the Equinox complex at 70 Kent Street, Deakin, in a deal negotiated by Chris Miller of Ray White Commercial Canberra on behalf of developers Evri Group / NDH. The firm, which recently announced global plans for all member firms in 114 countries to rebrand to RSM in October, will be moving to larger premises from an office building on Northbourne Avenue, Turner. Mr Miller said the RSM Bird Cameron tenancy meant there was only approximately 600 sqm of office space remaining in the Equinox Business Park. “This is further proof that despite record high office vacancy rates throughout the ACT, tenants are prepared to commit to high quality premises when a compelling business case is made,” he said. “The general sentiment within the leasing market has indicated some reluctance on the part of tenants to make the decision to move. “However, our evidence suggests that tenants are in a position to take advantage of generous terms and incentives at rates which may not be available to them in the future. Equinox Business Park is located within the inner south suburb of Deakin, within the parliamentary triangle. Four separate commercial office buildings offer approximately 8,500 sqm of NLA supported by a central café/function complex. The business park has become a well-known professional and medical precinct with a mix of local, national and international businesses taking occupation since completion in March, 2011. The complex has landscaped gardens and the building design targets a 5 star NABERS and a 5 Star Greenstar rating. RSM Bird Cameron has taken out a 10 + 5 year lease at a gross rental believed to be approximately $850,000 per annum.